If you have ever been to Delft, you will remember that it is a surprising city. A remnant of old times set beside a busy freeway and in quite an industrial area. 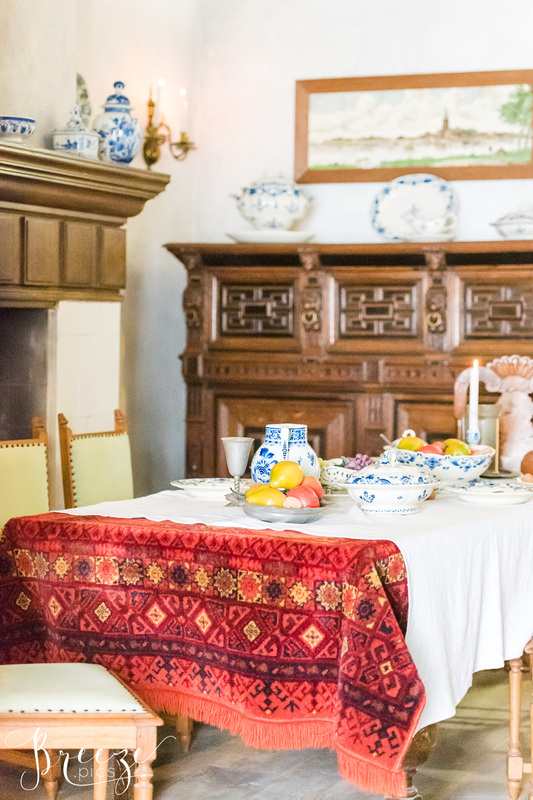 You still feel as though you are stepping back in time, into a Vermeer painting. 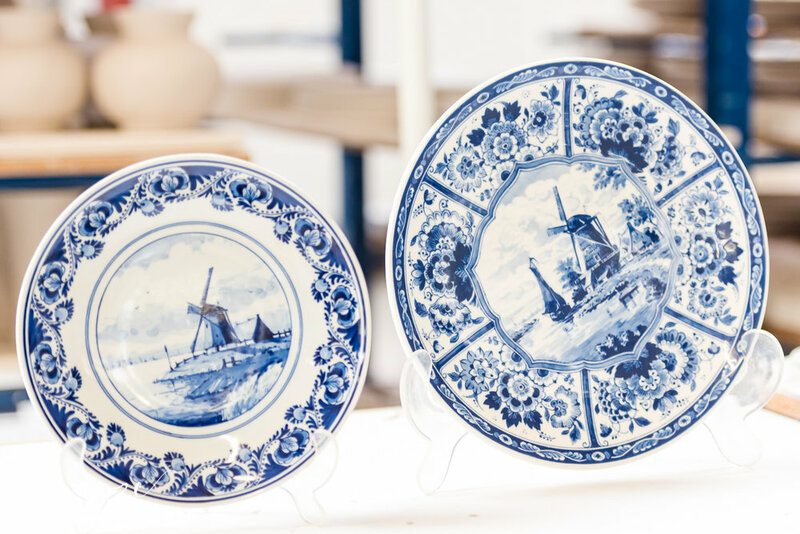 These interiors are displays inside the Delft Pottery Museum. The pottery factory and museum is a very inspiring place. It's quiet and peaceful, with a slow and gentle pace. The workers look content and unhurried - a far cry from the potteries of the Victorian era. They are a bit obsessive about the blue and white! 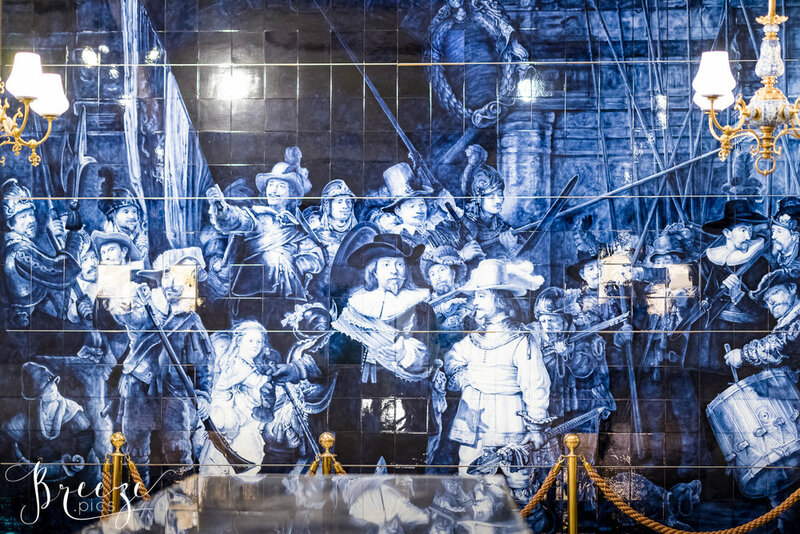 Even Rembrandt's "The Night Watch" has been re-created in Delft blue tiles. This painting is very familiar to me because our family business was called Night Watch Galleries when I was a kid and we had a large print of it hanging in the picture framing factory. 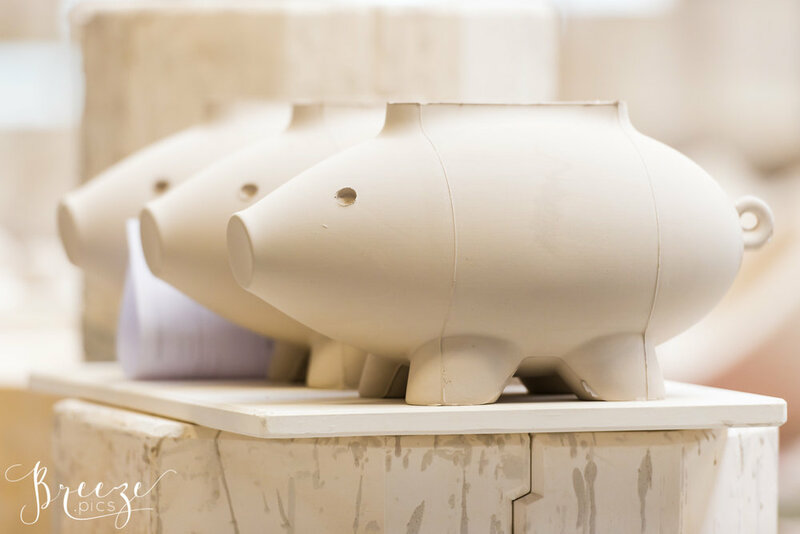 It's beautiful to see the dedication to skill and workmanship of the artists and their faithfulness to their tradition and craft. There are no 'seconds'. Every item is perfect in every way by the time it reaches the shop. Even the street art is Delft blue and Vermeer inspired. 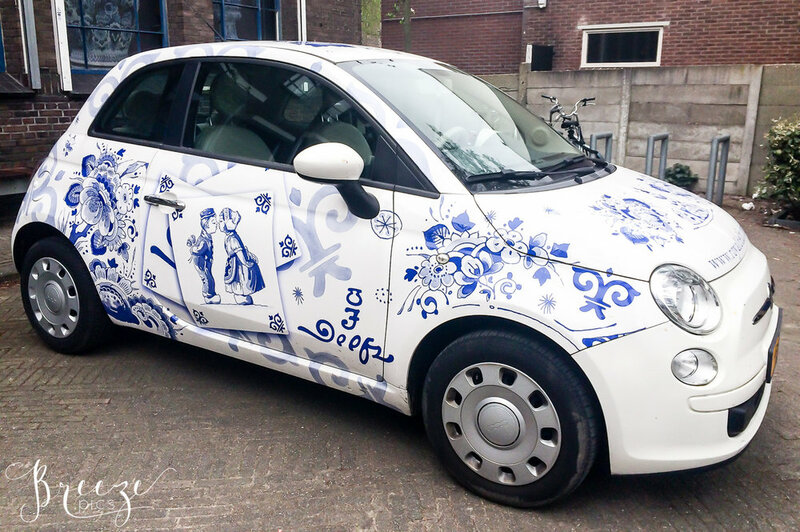 But I was particularly impressed by the Delft car! I really want one :).